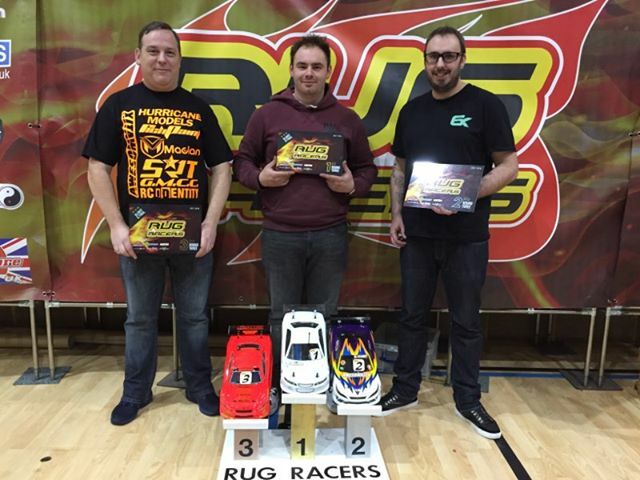 Sunday 10th December saw round 3 of the RugRacers 2017/18 race series take place at Wodson Park. With severe weather warnings in place, some racers chose not to make the journey to a heavy snow covered Hertfordshire. The 44 drivers that braved the conditions were greeted by one of the best track layouts the RugRacer team have ever set out. 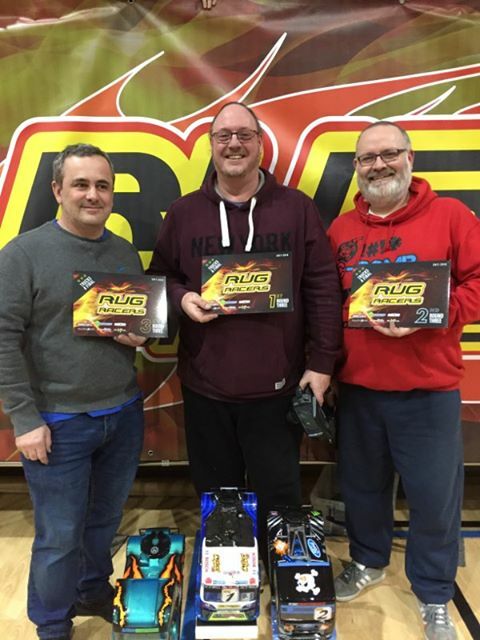 Trucks saw some close racing at the top with Malc finishing some 6 seconds in front of John, followed by The big Cheese albeit a lap down in the first leg. The second final was the same at the top but closer this time with the gap between Malc and John being under 4secs. Unfortunately for the Big Cheese, lap12 he was collected by a backmarker, I managed to slip through into 3rd and stay there. Tony Gomez was reeling me in and a nervous few laps saw him finish just 2 secs behind me. Have a Merry Christmas and a happy new year. See you all soon.